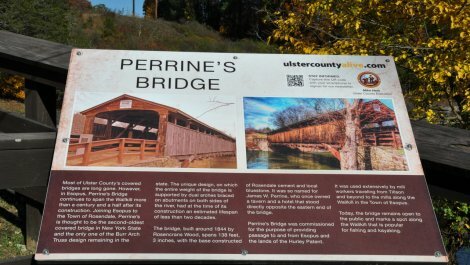 The Perrine’s Covered Bridge is one of five covered bridges still standing in Ulster County. 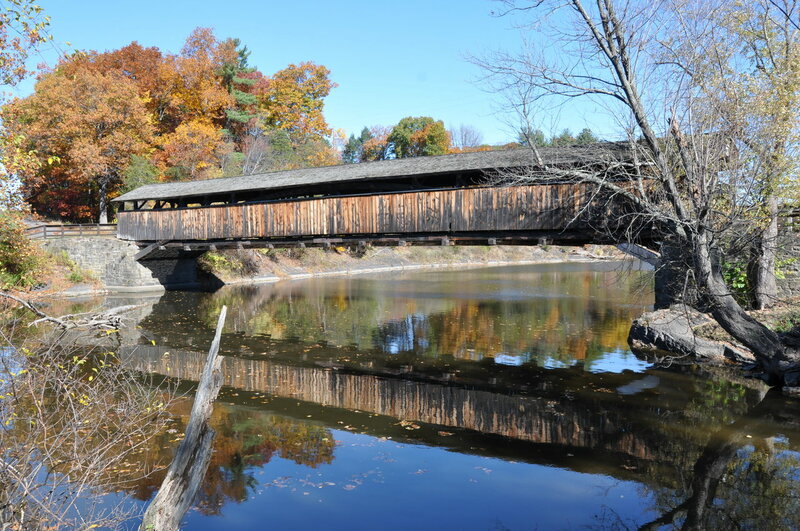 It is owned and maintained by Ulster County and carries pedestrian traffic across the Wallkill River. Built by Benjamin Wood in 1844, this 154-footlong, single span structure incorporates the Burr arch design patented in 1817 by Theodore Burr of Torringford, Connecticut. 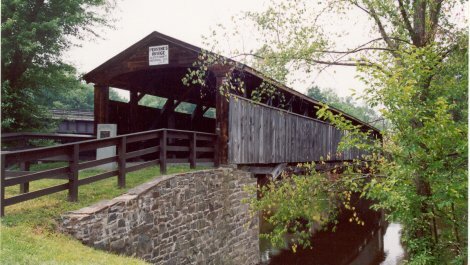 It is one of three authentic Burr arch truss bridges (the other two being the Hyde Hall and Salisbury Center Covered Bridges) and the longest standing Burr arch covered bridge in the state. 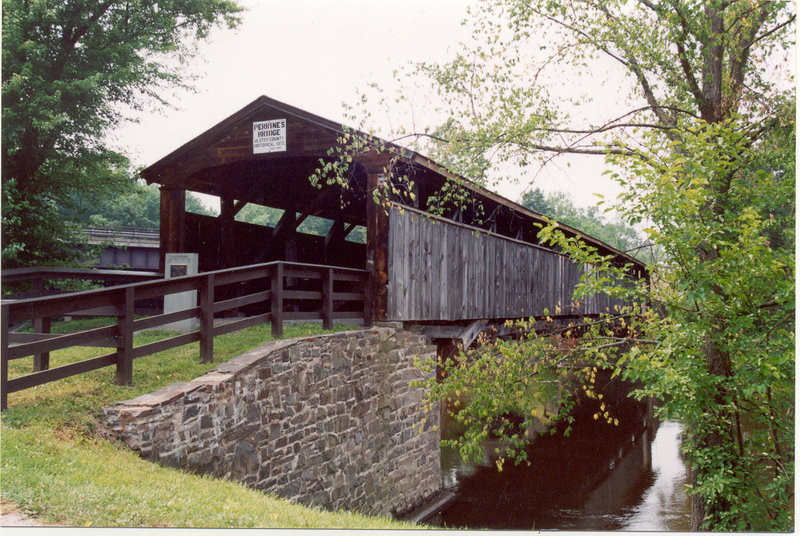 It is also the second oldest bridge in New York (the first also being Hyde Hall). 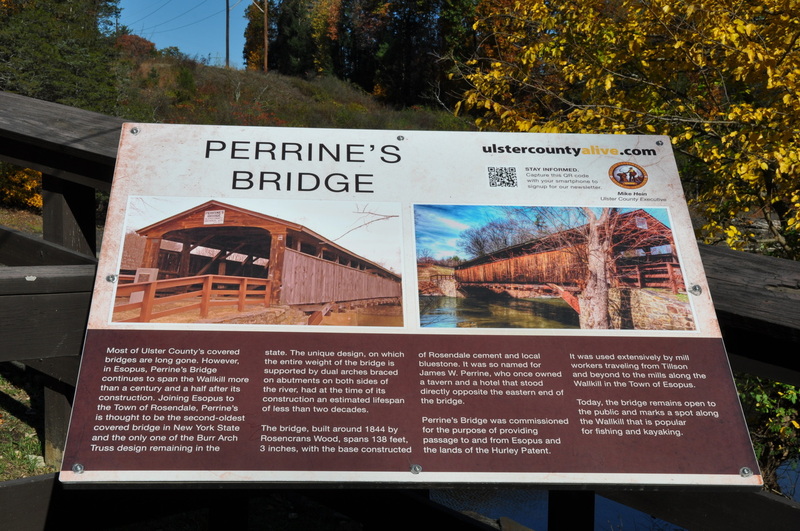 The total cost to build the Perrine Covered Bridge in 1844 was approximately $2,200. 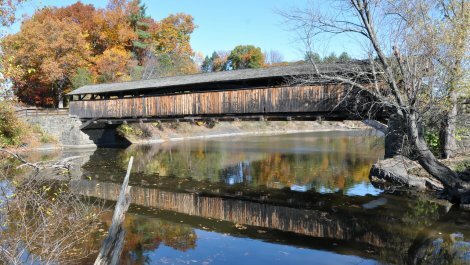 When traveling north on the NY State (I-87) Thruway near New Paltz, be sure to look for the Perrine’s Covered Bridge between mile markers 81 and 82 as it can be seen from this highway.